Approaching the end of your college career is an exciting time, filled with crucial tasks to accomplish both for graduation and for easing the transition into a career. While there is a lot to do, you’ll find it simpler and easier if assignments are grouped by season. This way you can stay focused on the jobs that are pressing without worrying about spring duties in the fall. 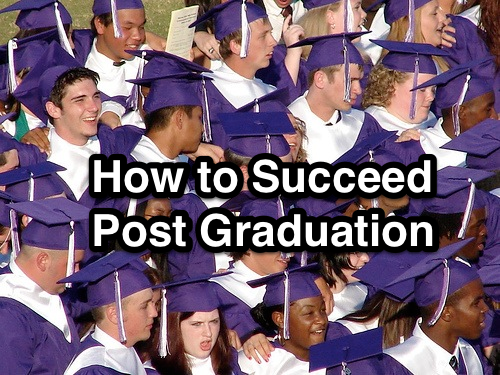 Graduation Source has made this easy by creating an infographic to help keep you on track. For fall, make sure you’ve laid out your year and organized projects in order to acquire improved management skills, reduce stress and increase productivity. You’ll also want to make sure your course requirements will be fulfilled so that nothing prevents you from graduating on time. During winter, prepping a complete resume that competently demonstrates your skills and experience is crucial. This document could help you obtain an internship, whether you find it through professors, your college career office or elsewhere. In the spring, apply yourself with fervor to any internship opportunity by behaving professionally, soliciting feedback and working to gain the trust of your superiors. Once you’ve graduated, you’ll be ready for the summer – whether it’s spent working or taking a vacation – before moving on to the next step in your career.